“The Ministry of Water Resources and Meteorology sent a letter to Prime Minister Hun Sen, naming some district governors and commune chiefs, saying that the Ministry suspects them as being involved in collusion to protect illegal reservoirs which are ruining the Tonle Sap lake. “During a session of the Tonle Sap Authority yesterday [11 August 2010], the Minister of Water Resources and Meteorology, Mr. Lim Kean Hor, stated that many local authorities collude with merchants to encourage farmers to claim that they own those reservoirs in an attempt to protect the reservoirs, whereas they are not allowed to be created around the Tonle Sap lake. “He added that he and his fellow officials just follow the Prime Minister’s order. “In April, the Tonle Sap Lake Authority received an order from Prime Minister Hun Sen to demolish illegal reservoirs around the Tonle Sap lake, as well as those the Region 2 and 3 that are determined as conserved areas of flooded forest. “239 illegal reservoirs set to be demolished in Region 2 are located in the six provinces of Banteay Meanchey, Battambang, Kompong Chhnang, Kompong Thom, Pursat, and Siem Reap. “The president of the Tonle Sap Lake Authority, Mr. Lim Kean Hor, stated also that 45 reservoirs were destroyed since 25 June 2010 and 288 markers were put in those regions. “According to Mr. Lim Kean Hor, almost 10,000 hectares of the wet area surrounding the Tonle Sap lake are destroyed each year for the creation of reservoirs, the expansion of agricultural land and fishing lots, and of charcoal business operations. “Deputy Prime Minister Yim Chhayly said that the potential of the Tonle Sap lake can support the living of nearly four millions Cambodian people settling around the lake. Apologies for delays over the past weekend. While I send the Saturday supplement only on Monday, I hope the Sunday and Monday sections will both follow during Monday. There is not much one can do when one is sick. “Phnom Penh: A memorandum of understanding about a plan to construct a convention hall for the Senate was signed in the morning of 30 July 2010 at the special meeting hall of the Senate in the presence of the Secretary General of the Senate, Mr. Oum Sarith, and the director of the ‘Sixth Bureau Cambodian Company of China City Construction Holding (Group) Company’ [??? ], Mr. Zhang Jin Pheng. “According to the memorandum of understanding, the Senate of the Kingdom of Cambodia has planned to build a convention hall in the Senate compound in the Chamkar Mon district on an area of about 7,500 square meters. The conventional hall of the Senate, with 7 stories, will have small and big meeting rooms, a reception room, a dining room, car parks etc. The plan’s realization will cost about US$20 million, to be financed by a grant from the Chinese government, and the construction will take two years after the aid will have been provided by the Chinese government. “Mr. Zhang Jin Pheng said that he will try to finish the study soon so that the construction of the 7 story buildings can begin shortly. On Saturday, 8 May 2010, we carried a headline saying: The European Union and Cambodia Jointly Celebrate the 60th Anniversary of the Creation of the European Union. What does such a celebration mean? At least it is a sign of recognition: Cambodia and the European Union have mutual friendly relations, even cooperation beyond financial aid, like during the two days ASEM Conference on very practical, actual problems: Forests, Forest Governance and Timber Products Trade – Scenarios and Challenges for Europe and Asia, on 4 and 5 May 2010 in Phnom Penh, and the ASEM Senior Officials’ Meeting on 5 to 6 May 2010. But even dealing with such practical questions as the handling of forest resources – how did it relate to the present campaign in Cambodia to crack down on the illegal cutting of luxury grade wood which has already identified 6,000 cubic meter of such wood, so that the authorities could confiscate it; but the question is raised in some papers that so far, the Oknhas – mostly rich businesspeople – behind this trade have not been touched, while low level operators are arrested. Have these international meetings and the joint celebration also led to exchanges about the basic values which were at the beginning of the European Union? Or which may motivate, beyond economic considerations, the further inner growth of ASEAN? On 9 May 1950, Robert Schuman, Foreign Minister of France between 1948-1952, made a programmatic speech, a proposal, which led to the creation of the European Union. It has to be noted that this was exactly 5 years after the end of the Second World War, in which France had been among the victors against Germany. This speech initiated the end of the traditional, centuries old emotional distrust and enmity between France and Germany. To construct peace. This production will be offered to the world as a whole without distinction or exception, with the aim of contributing to raising living standards and to promoting peaceful achievements. With increased resources Europe will be able to pursue the achievement of one of its essential tasks, namely, the development of the African continent. In this way, there will be realized simply and speedily that fusion of interest which is indispensable to the establishment of a common economic system; it may be the leaven from which may grow a wider and deeper community between countries long opposed to one another by sanguinary divisions. The common High Authority entrusted with the management of the scheme will be composed of independent persons appointed by the governments, giving equal representation. A chairman will be chosen by common agreement between the governments. The Authority’s decisions will be enforceable in France, Germany and other member countries. Appropriate measures will be provided for means of appeal against the decisions of the Authority. “The pooling of coal and steel production should immediately provide for the setting up of common foundations for economic development as a first step in the federation of Europe, and will change the destinies of those regions which have long been devoted to the manufacture of munitions of war, of which they have been the most constant victims. The production of coal and steel – the basis for the economic strength and for the opposing military machineries – is to be taken away from the opposing national authorities and put under a common international administration, a common High Authority which is not working under the supervision of the different governments – but these governments have to work under a joint High Authority for the common good of their people, for the “the equalization and improvement of the living conditions of workers in these industries,” and in this way, “Europe will be able to pursue the achievement of one of its essential tasks, namely, the development of the African continent,” working beyond its own narrow interests. During the past week, tensions at the border between Thailand and Cambodia flared up again: at the Ta Krabei Temple, and at the Keo Sekha Kiri Svarak Pagoda. What would happen, if both Cambodia and Thailand would give up claims on what sets them against each other – like Germany and France had been facing each other as not reconcilable enemies for ages, sending hundreds of thousands of soldiers from both sides to death – and consider and operate the historical heritage of both countries not for confrontation, but for cooperation? Even the whole community of ASEAN would receive a new breath of life, if two member countries could make a step – probably smaller than the end of the bloody history between Germany and France – not just to forget past tensions, but to build an irreversible path into a common future. Like the unthinkable proposal Robert Schuman made 60 years ago. Was something similarly bold like this considered in the joint celebration of the creation of the European Union? “Mr. Lim Kean Hor stressed that the meeting held on that day was in response to a wise decision and order of the Prime Minister of the Kingdom of Cambodia, Samdech Akkak Moha Senapadei Dekchor Hun Sen. The three areas determined connect flooded forest to the Tonle Sap Lake, and those areas are covered by grass land, jungle with tall trees, and flooded forest. Based on aerial photos taken from planes, the flooded forest is being burnt down, but the burning is not for hunting animals. A working team conducted a study over three months by using aerial photos taken in 2005. The second study was also based on – new – aerial photos, and the third study depended on direct visits at the six provinces around the Tonle Sap Lake. “Regarding this direct monitoring, Mr. Lim Kean Hor presented the findings and figures. According to the aerial photos taken in Kompong Thom, the size of the third area dropped to only 3,130 hectares, compared to 2005 when the size was 56,000 hectares. Therefore, in Kompong Thom more than 94% or 53,000 hectares were lost. “In Kompong Chhnang, there are only 4,000 hectares at present, while before there were 101,000 hectares, which is a loss of as much as 95% or 97,000 hectares. This is a serious destruction, and if there are no thorough and timely interventions, the three areas that serve as a special eco-system, providing shelter for fish to lay eggs, and that are also a natural tourism site. will be lost. Therefore, there must be emergency decisions taken to protect these areas. “The Minister added that if the cutting down of flooded forest continues, the areas will become barren land. Thus, the authorities must think of this and take action. If some people have been doing cultivation on the land inherited from their ancestors, they can keep the land, but if it is land gained from clearing of forest during the years 2003 to 2010, it will be confiscated and kept as flooded forest area. There are losses in all provinces around the Tonle Sap Lake, but Kompong Thom and Kompong Chhnang sustained more serious destruction than the other four provinces. “After presentations by the six province governors during the discussion, it was agreed that the size of the three areas of 640,000 hectares, based on the aerial photos taken in 2005, will be kept as protected area. The meeting agreed to send this conclusion to Samdech Akkak Moha Senapadei Dekchor Hun Sen to decide about it formally by issuing a sub-decree for the three areas. “Phnom Penh: 118 organizations and associations expressed their support for the crackdown on forestry crimes by Prime Minister Samdech Hun Sen, and some associations suggested that former Director General of the Forestry Administration Ty Sokun must be bought to a court to be convicted according to the law. “During the press conference in the morning of 9 April 2010 at the Sunway Hotel in Phnom Penh, representatives of 118 organizations and associations stated that as civil society organizations working in the Kingdom of Cambodia, they support the cracking down on forestry crimes ordered by the Prime Minister of the Kingdom of Cambodia, Samdech Akkak Moha Senapadei Dekchor Hun Sen, where now, as a consequence, some officials have to face legal action, and some others are already being jailed. But in the meantime, all civil society organizations asked the Royal Government to continue to intercept such crimes as an on-going concern in order to protect the forest for the next generations. “The executive director of the NGO Forum on Cambodia, Mr. Chhith Sam Ath, and the chair of the Human Rights Action Committee and executive director of the Khmer Institute for Democracy, Mr. Hang Chhaya, expressed similar ideas, saying that civil society organizations support the Royal Government intercepting forestry crimes, and they asked the government to continue this crackdown. “Representatives of various associations also present in the event, including Ms. Chen Thol, association representative from Kompong Speu, Mr. In Ham, association representative from Kompong Thom, Mr. Seng Sokheng, association representative from Oddar Meanchey, and Mr. Nov Vuth, association representative from Preah Vihear, asked the Royal Government to regularly suppress forest crimes and suggested that the Royal Government should directly check forests at community level that is being destructed by logging by merchants, by the powerful, and by the rich. “Also, the joint statement of 118 organizations and associations voices support for the recent strict measures of the Royal Government to eliminate forestry crimes in Cambodia. The statement adds that for decades, the forest in Cambodia has been cut illegally and continually, even though the Royal Government stopped providing forestry concession land, and it is reported that most perpetrators are powerful and rich. The lack of measures against forestry crimes leads to heavy logging activities, and also some community forests are threatened. “Phnom Penh: The campaign to intercept forestry crimes not only saves the forest in Cambodia from being destroyed, but it also saves the lives of Khmer citizens, as some had been killed by Siamese [Thai] soldiers along the border. “General Chea Dara said so during a speech on 8 April 2010 at Phnom Penh City Hall. “He added that the order of the head of the Royal Government for the troops to cooperate in fighting forestry crimes has been effectively carried out – the troops do not just defend the border. The interception of forestry crimes helps to prevent that more citizens will suffer from fatal shootings by Siamese soldiers who accused many citizens of entering Thai territory to cut trees illegally. “Mr. Chea Dara recognized that some Khmer citizens had been attracted by the offers of big wood traders who hired them to cut trees. It was these wood traders who led Khmer workers to their death in order to fulfill the greed of these merchants making the workers to become victims. “Mr. Chea Dara added that since the beginning of the campaign to crack down on forestry crimes nearly one month ago, all big wood traders along the border disappeared, and there are no more workers who cut trees across the border. Before, Khmer citizens from three provinces bordering Siam: Preah Vihear, Oddar Meanchey, and Banteay Meanchey, had suffered a lot, as many had been arrested and shot dead by Siamese soldiers. Most of those who were fatally shot had been accused by Siam that they had entered to cut trees in their territory illegally. Some were arrested for crossing the border illegally, or for drug smuggling. But now, there are no more Khmer citizens who might be killed being shot by Siamese soldiers for forestry crimes. “The head of the Oddar Meanchey police, Mr. Men Ly, told Kampuchea Thmey on 8 April 2010, that most Khmer citizens who had been killed came from his province, but now, this problem no longer exists. “He added that the activities of big wood traders who used to do their trade actively both day and night, using workers to drag wood [out from Thailand] have now become quiet. “Mr. Men Ly went on to say that to intercept these activities makes some citizens lose income from the wood traders who used to hire them, but this does not affect most citizens in Oddar Meanchey. “He said they are not affected because all big wood traders who used to buy wood from them [which they had been sent to steal from Thailand] do not live in Oddar Meanchey, and the citizens whom they hired to cut wood are the same [they are not Oddar Meanchey residents]. “Previously, both wood traders and those who had been hired, had caused many troubles for the Oddar Meanchey authorities. The Oddar Meanchey residents thank Prime Minister Samdech Hun Sen for this campaign. “Prime Minister Hun Sen publicly announced the decision to take out Mr. Ty Sokun from the position of Director General of the Forestry Administration of the Ministry of Agriculture, Forestry, and Fisheries, because he was involved in illegal wood trading. But Mr. Hun Sen did not specify any measures to be taken against Mr. Ty Sokun, and he reassigned him to the position of Under-Secretary of State of Agriculture. 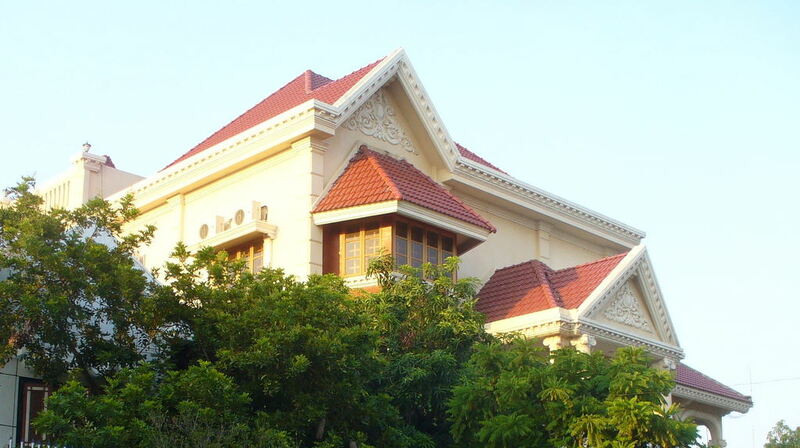 Prime Minister Hun Sen said on 6 April 2010 at the Chamkar Doung Royal University of Agriculture, that the head of the forestry administration, Mr. Ty Sokun, was involved in corruption related to forestry crimes, and that the authorities had recently started investigations to intercept them. “Mr. Hun Sen specified that Mr. Ty Sokun was reassigned from the position of Director General of the Forestry Administration to become an Under-Secretary of State of Agriculture, and he was replaced by Mr. Chheng Kim Son. Also, Prime Minister Hun Sen called on wood traders and on other high ranking officials who are involved in forestry crimes to show up and to deliver any illegal wood to the authorities. “In the meantime, the Prime Minister warned that Ms. Khai Narin, called Che Muoy, might be arrested, who is said to be a powerful person close to the Minister of Agriculture, Mr. Chan Sarun. He warned also the Trapeang Prasat district governor in Oddar Meanchey, who used his power to authorize the transfer of state land to powerful military officials. “Based on the words of the Prime Minister, what Ty Sokun did were mistakes that cannot be disregarded, and that made the Prime Minister lose trust in him. Also, he puts his trust in the newly appointed head of the forestry administration, Mr. Chheng Kim Son, and he hopes Mr. Chheng Kim Son will not disappoint his trust. “It is reported that Mr. Chheng Kim Son had not been powerful, so he could not just move up to take the position and be appointed to replace Ty Sokun. But it is said that the deputy director of the Forestry Administration, Mr. Chea Sam Ath, is the most powerful person there, who would normally replace Mr. Ty Sokun. But because Mr. Chea Sam Ath is said also to be involved with corruption over forestry crimes, not much different from Mr. Ty Sokun, he was not promoted. The same source added that Mr. Chea Sam Ath has many problems, for which he might be removed or jailed, like other fellow forestry functionaries. “Therefore, it is likely that Mr. Chea Sam Ath cannot avoid to face jail because the forestry crimes were of a large scale. If Mr. Chea Sam Ath did not have problems, he would have already been nominated head of the forestry administration. But because he has similar problems as Ty Sokun, he was ignored. Does taking responsibility for the forestry administration of the Ministry of Agriculture end with the removal of only the Director General of the Forestry Administration Ty Sokun? “On Monday, a forestry chief from a region facing the Gulf of Thailand, Mr. Vann Sophanna was summoned by the Koh Kong Municipal Court, but was released later. The Judge of the Koh Kong Municipal Court questioned the head of the forestry administration station facing the Gulf of Thailand, Mr. Vann Sophanna, and the Deputy Forestry Administration Chief of Pursat, Mr. Ouk Kim San, at 9:45 of 5 April 2010. The questioning was made after the national military police, in collaboration with the military police of Kampot and of Sihanoukville, arrested them on Sunday morning in Kompong Trach district, Kampot, and sent them to be detained at the Koh Kong Military Police Station and then to the court for questioning over forestry crimes in the regions under their authority. “According to military police officials, they will continue to arrest other suspects involved in forestry crimes. It is said that Vann Sophanna, who is a powerful figure in illegally trading wood, is vicious and very domineering. He often blamed his fellow officials over minor mistakes. The general public waits to see other senior officials, who are involved in forestry crimes, also arrested, as recently some other forestry administration officials had been arrested. The interception of forestry crimes and the arrest of perpetrators started after strict orders from Prime Minister Hun Sen.
“During the cabinet meeting yesterday, which took from morning to noon, Samdech Dekchor Hun Sen spoke to all members of the Royal Government, saying that all related institutions, whether on the national or on regional levels, have to cooperate to intercept forestry crimes, and to reach the ringleaders. All authorities have to investigate this at every place to find the offenses and to arrest the offenders, the principal leaders, and other relevant persons, to be prosecuted without any exception regardless of how powerful those persons are, and whatever their relationships, because the suppression of forestry crimes is the suppression of criminal groups – their activities have to be considered as activities of national betrayal. “Samdech Hun Sen regards the interception campaign against illegal wood trading as a thunderstorm campaign, not a pleasant light drizzle. “Also, Samdech Hun Sen knows that those who use to do such wood trading are backed by high ranking officials, but this time, no matter how high their positions are, they will be jailed. “Samdech Hun Sen seriously warned some high ranking officials to withdraw from this business, because now the thunderstorm comes. “He gave similar orders regarding the campaign to crack down on gambling sites and on drugs. All authorities must remember also the order to persecute the car owners that stick light black plastic foils on the inside of their car windows to conceal [who, or what is going on inside].